Facebook is one great online social medium for businesses to reach the people that matter most to them, know why? because a report from statista.com show that as at the second quarter of 2016, Facebook holds a record of having over 1.13 billion users who are using their platform on a daily basic. Can you just fathom that? No wonder they are referred to as the "online social giant." 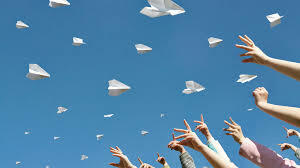 This fact indeed open so many opportunities to businesses to meet new potential customers and a means for them to pass important information to all their customers and potentials almost instantaneously. But the fact is, in the pool of over 1.13 billion of people you can get your business information and promotions across to, definitely not every one of them is your potential customers. So the big question remains, how can businesses get their information across to mainly those that matter most to their business, and not just having high Facebook reach but less conversions? Below we are going to expatiate on four most rewarding solutions that will help you solve this seemingly dazzling issue. So let's start. When They Like Your Business Name, Then The Chances Of Them Being Interested In Your Business Sales Is High. True, the importance of polite, easy to remember, and name that are uniquely different from that of your competitors in your niche cannot be underestimated, but in this first point of ours, we are not focusing on your physical business name, but the social reputation of your business. Take this example. WhatsApp and WhatsApp Gold. At first, anybody hearing or seeing the name of the second app (WhatsApp Gold) listed in app store and reading about it features will definitely want to go for it first, but because of it having a reputation of being a spam from hackers, it dies off. 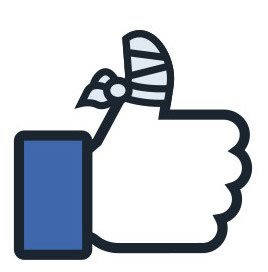 Our point is this, does your business have the reputation of being a social spammer on Facebook? If the current Facebook followers of your business see a post from your business in their news feed, will they be willing to read what the post is about or will their only option be to continue scrolling? If the answer is yes to any of those question above, then you need to really focus on rebuilding your business social reputation among your current followers, this is because if your current Facebook followers consider you as a social spammer then, you do not have any guarantee that new ones will not. To help you rebuild your reputation, we recommend that you focus more on creating engaging post rather than promotional post. We are not saying that promotional post for your business is wrong, in fact, that is why your business is on Facebook in the first place, but the fact is, Facebook is not your business personal website neither is it a shopping center for the niche of your business, so those 1.13 billion daily Facebook users do not log into their Facebook account because they are looking to buy something, most of them do this to catch up and have fun, so they will be more incline to ignore anything they feel will not contribute to their fun and catching up, and so, do not let your business be tagged with such a reputation. The first point above is aimed at helping you retain the audience you currently have in Facebook, now let's talk about getting new ones, not just new audience, but new people that matter most to your business, and our first recommendation is for you to use Harsh tag. It is true that Twitter is the online social media platform that introduced harsh tagging, and that their platform is built to compel its users to use it frequently, but the fact is, Facebook also have and support this feature -Harsh Tag- so harsh tagging is not a feature peculiar to Twitter only. And do you know what, anybody that read your business Facebook post because it was listed in the harsh tag Feed you included in the post is truly interested in and is seeking what your business Facebook post have to say with regard to the harsh tag topic. Thus harsh tagging the Facebook post of your business is a sure way to know that you are really reaching the people that matter to most your business. Note: they are looking for information relating to the harsh tag, so do not harsh tag unrelated topics to your post just because the topic is popular, because what matters is not the reach but the engagement. Thus if you harsh tag unrelated topics to your business Facebook post, then you will be indirectly saying that your business is a spammer, which is not good to your Business Facebook reputation. Remember, "you cannot get a second chance to make a good first impression." Facebook audience selector and how it affects your post Re-shares. It is good news to know that if you are using Facebook Fan Page for your business, then your business Facebook posts are immune to this audience selector restriction. But let us talk about it a little and explain how it can prevent your business Facebook post from reaching those that matter most to you. This is a fact that you need to understand about the policy of Facebook without regard to its audience selector for post. Once you use Facebook post audience selector to restrict a post of your business, then no matter how many shares that post get, that will not compel Facebook to make the post visible to those who are not part of the group chosen in the Post's audience selector. Let us suppose that you make a post, and before publishing it, you, using the post's audience selector specify that you want only your friends should see it. Once you click the publish/post button, Facebook algorithm will make sure that only your friends will be able to see the post in their News Feed, or in your timeline. So now let us suppose that one or two or more of your Facebook friends now decided to re-share the post to their Timeline, will this mean that their friends who are not part of your Facebook friends list will now be able to see the post? NO is the answer. Facebook will still hide the post from them since they are not among the group you specify for that post in the audience selector. But has mentioned earlier, if you are using Facebook Fan Page for your business, then your business is immune to unknowingly placing an audience selector restriction on the story, then intend to post, because Facebook policy has it that any post shared on a Fan Page should be of a public knowledge, and thus audience selector is disabled for pages. But if you are using a Facebook group or your own personal Facebook profile to promote your business in Facebook, then you should always be very conscious about the selected option of the audience selector, because if you are not, the you might just be sharing the post to a selected few and not to all your potential customers on Facebook, since re-sharing of such a post will make it reaches increase above the selected few. Please take note: this post audience selector is also referred to as post visibility and/or share post to or with. 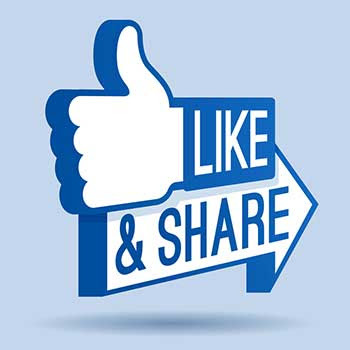 So to ensure that your post get the maximum reach we recommend that you also share the post to public, so that anyone can see it when it is re-shared, commented upon or liked. Unlike the Post Audience Selector which place restriction on which people can see the stories update (post) of your business, Facebook Audience Targeting is not like that, rather, what it does is to prioritize your business post in the News Feed of those that fall into the category of people you are targeting with the post. This feature is only available to your business disposal if your business is using Facebook Fan Page. 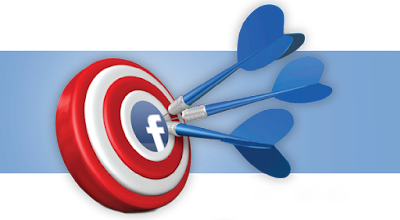 Even though, as when this post is composed, the Facebook Audience Targeting feature is by default disabled of every Facebook Fan Page, so to use it, you will have to manually go to the Facebook Fan Page settings of your business and turn it on. Once done, the Audience Targeting icon will appear alongside the other icons for inserting image, videos, polls to the post, which is under the post creator box. This feature can only be used when creating the post on Facebook for PC, thus if you are using Facebook mobile app, or Facebook for mobile browsers, you will not be able to use this feature even if you have turned it on. This is indeed another great way of reaching those that matter most to your business via Facebook. This is where we are going to be drawing our curtains on our explanation of how you “Reaching The People That matter Most To Your Business Via Facebook” for now. There are more other ways we will be dissecting later on, so we urge you to stay turn. If you have any further question or you will like to know how to do something in Facebook, please use the comment button below to tell us, or you can use the ask us a question form at the end of this page.